 DOT NET NUKE [DNN] is the powerful content management system. DNN is very easy to use and does not have any complication. DNN current version is built on C#. It’s very easy to update and modify content, images and video from DNN dashboard. You get multiple functionality and add-on with this dnn templates. I would say dot net nuke is very powerful CMS with loads of modules available for enhancing the functionality of website. Today I’m going to list top 6 Premium DNN skins. Porto is multipurpose DNN templates. Porto was first available in html and wordpress format only. But later mandeeps.com have worked on it and converted this beautiful theme to suit DNN. It has all features and functions which are required for modern website. To begin with Porto has a Style switcher you get lots of options for headers section. You can have your website layout wide and boxed by just using style switcher. Porto incudes some really cool modules which will make your life easier by just clicking few buttons. Live accordion, live articles, live blog, live campaign, live content, live forms and live tabs are some modules. Porto also comes with ecommerce functionality built in. So you can also setup your ecommerce store. 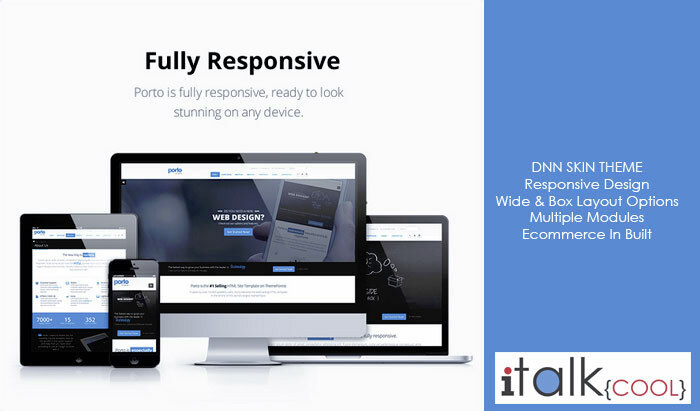 We recommend porto theme because it’s fully responsive and stunning with option of one page website as well. A perfect ecommerce DNN templates. 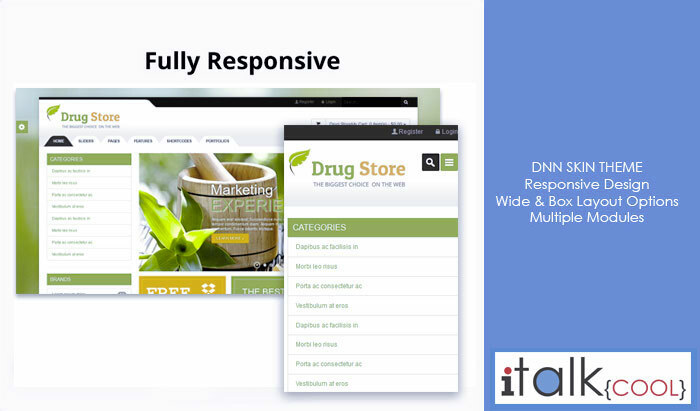 Drug store is fully responsive and multipurpose theme to build a working ecommerce store. You have planar client option, where you can directly change the color of theme. Also you can have wide and box layout by just one click. Some of the highlights features are carousel, magnify popup, fontello icon, css3 animation and tabs to accordion. Drug store also have more options for sliders you can select. Weight Loss is elegant DNN theme with fully responsive. This is a simple theme with planar client options to change the colors and layout directly from the home page. 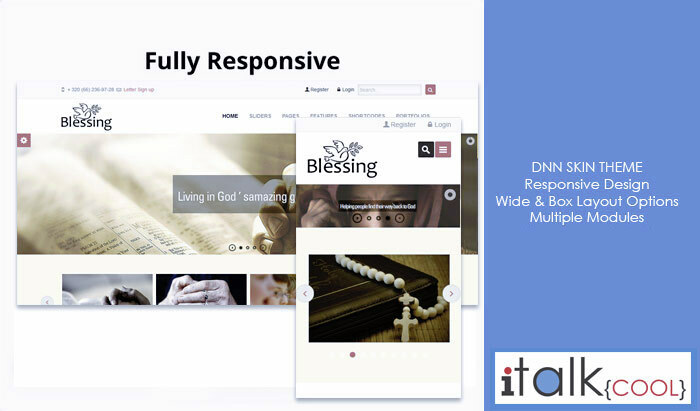 Blessing is a clean, modern, flat design theme. This theme is fully responsive which optimizes this themes for smartphones, tables and desktops. The theme is very SEO friendly and optimized coding. The elegant look and feel will make you fall in love with this DNN theme. Bless themes comes with planar client options. 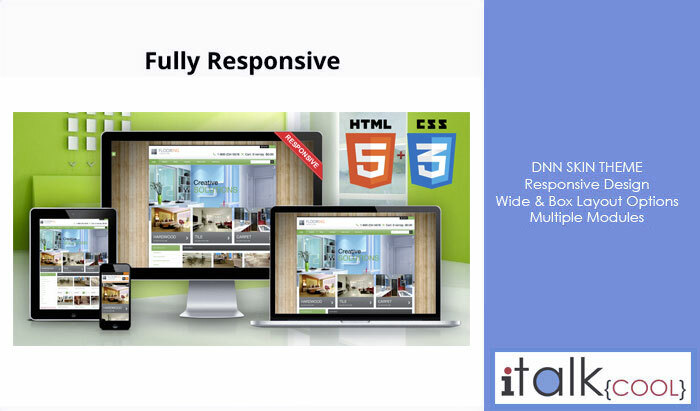 The structure and placements of all elements make this DNN theme to standout more. The inner pages are very beautiful and very attractive and goes well fluently with the theme. 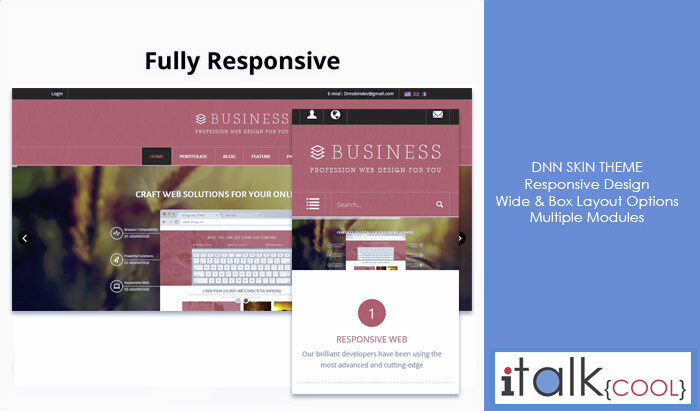 Business is a revolutionary DNN theme. This theme is responsive, designer to have awesome impression yet keeping everything simple and clean. This theme features home page banner, latest from the blog, testimonials and services right at the home page. So visitors can have glimpse of all sections of website on the home page. Blog section is super cool with having all widgets and the right place. Overall I can say it is one of the best elegant dot net nuke theme. Business, this theme is powerful and modern. Designer of theme has put lot of imagination and proper case study have done for it. User experience for this design is really helpful. Home page layout look awesome and have features such as main banner with wide footer area. I like the blog layout much. Because it has a catchy look which grab the attention easily on articles. Widget area looks super stunning. You get multiple features and functions in this theme for skin layout, typography and short codes. There are total 7 header options available. Inner pages have good attentions for details. This is yet another DNN premium skin which is more suitable for blog. This is the best alternative theme for wordpress blog because it has modern features and very good looking skin. Home page have a banner section and most impressive is the sidebars which have section for social media, ads, recent comments and tags cloud. 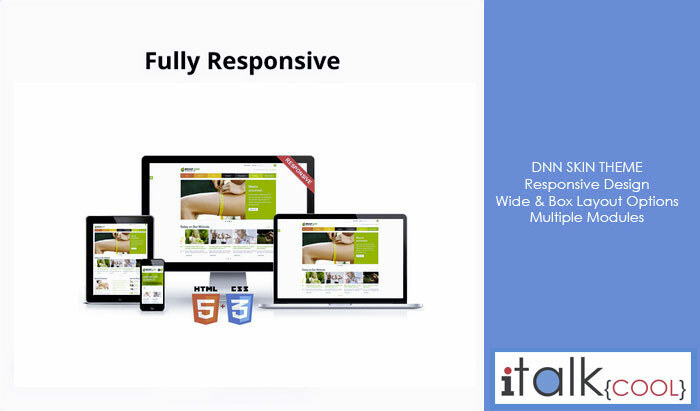 This dnn skin is built using latest html5 and css3 so works fine with all modern browsers. You also have inbuilt color themes and multiple templates available. One of the top online store dnn skin. This is the one of the elegant dnn skin for online store, you can directly change the skin color theme from the home page by using planar client options. This skin comes with multiple page templates for your online store. Some of the powerful features includes carousel, magnific popup, fontello icons fonts, css3 animations sheet and tabs to accordion in built with the skin. You have different page templates for about us, our services, pricing options, containers and blog section. Do let us know which dotnetnuke skins you like from the above also if you want to add some more best dnn skins please leave your comments below and we would happy to add in this section. In our next article we will showcase some free dnn skins and dnn templates. 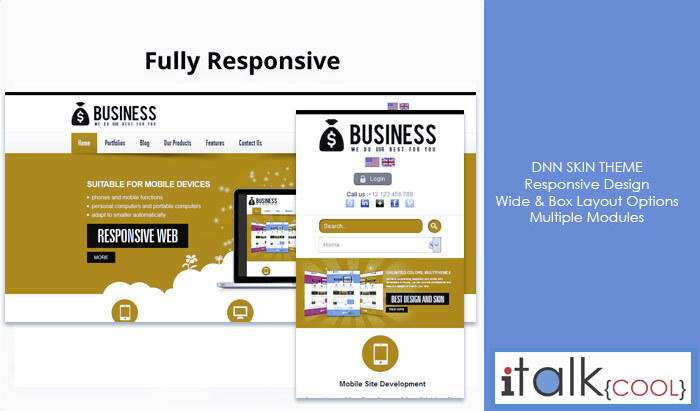 Dnn is a very good platform for any kind of website.